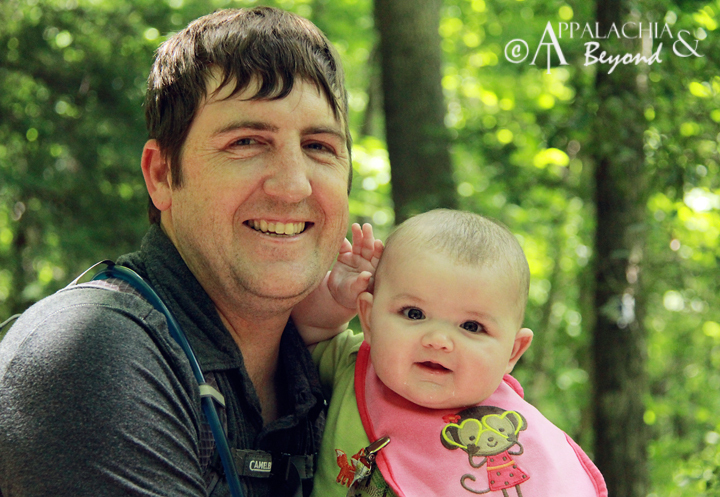 We were recently blessed with the opportunity to do an actual hike (and by "actual" I mean something more than a half mile with a stroller) since Bug has been born. 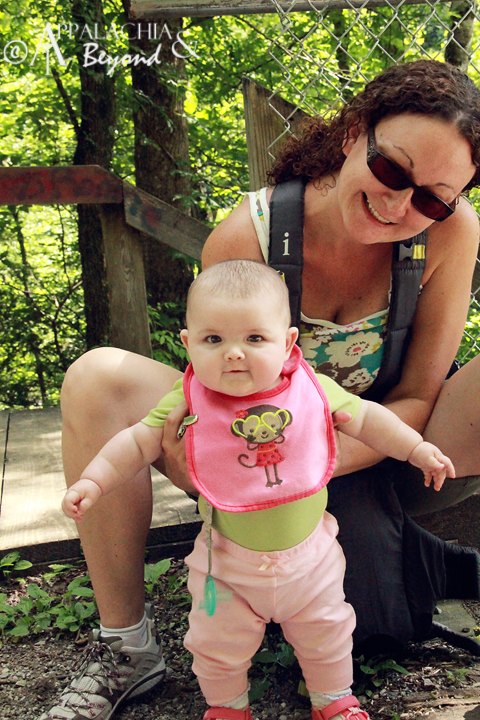 Since she's been doing so well in public, we decided it was time to carry her into the woods. 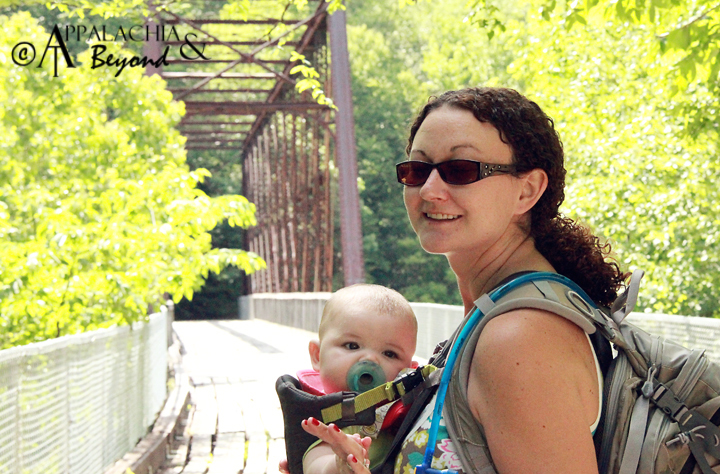 We chose the O&W Bridge trail (4.6 miles) because of its ease and accessibility. 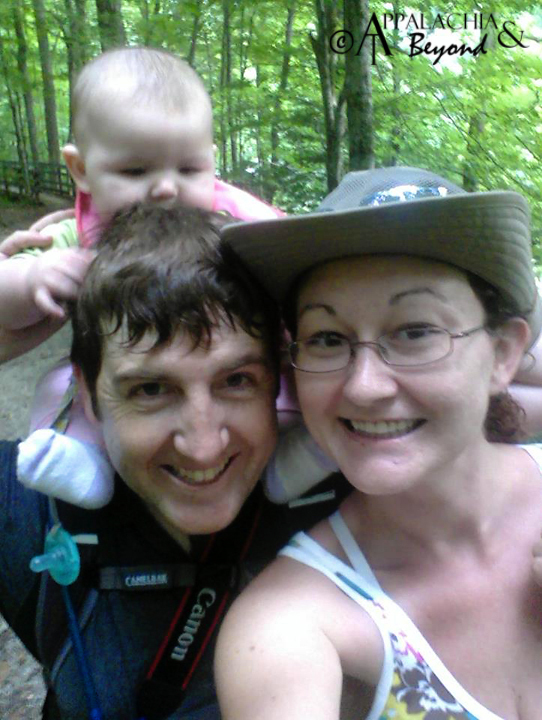 A few weeks previous to this day, we'd tried to hike this trail and found that (1) it is not stroller friendly by any means and (2) thunderstorms looming + baby = bad idea. 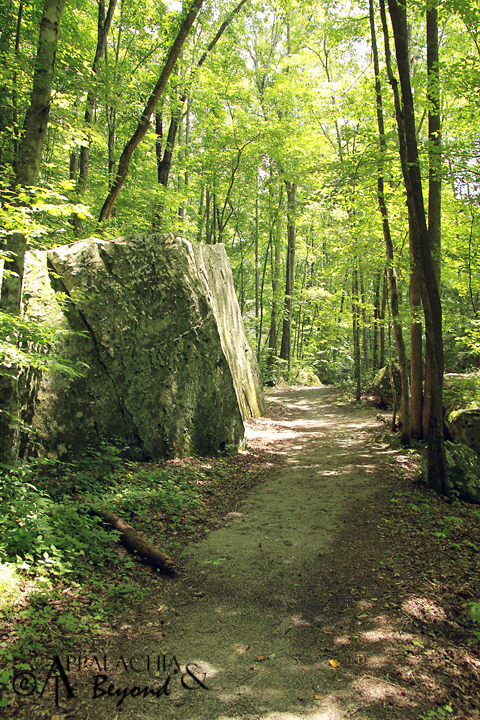 The trail, however, is virtually easy with small elevation gains and the occasional rocky runoff crossing. 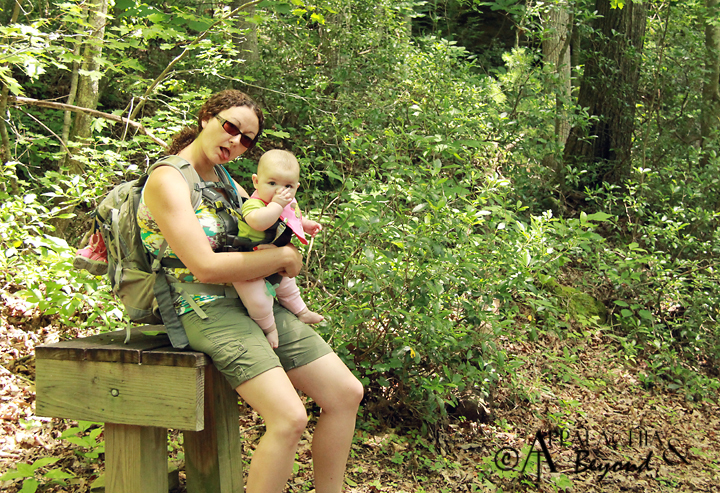 With my pack on my back and Bug on my front in the "torture device" (Infantino Breathe front carrier), we headed down the trail towards the bridge. Although we had to take frequent breaks for her and to rest my shoulders, we made decent time. Considering she's only 5 months old, she did incredible. 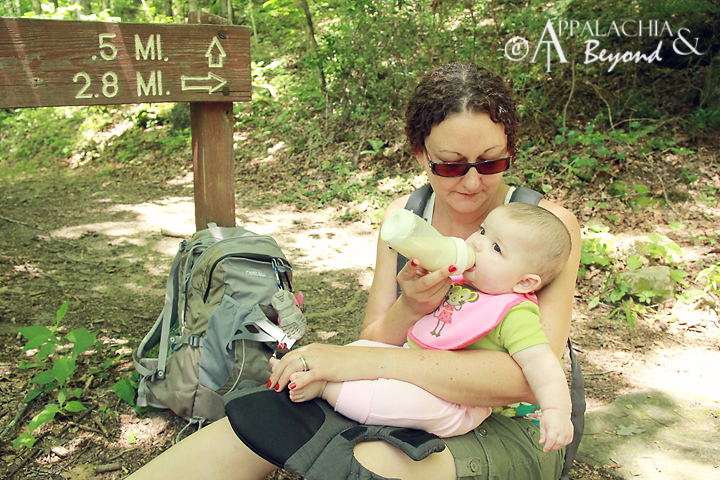 There were a few stops to feed, a couple diaper changes, and we only had two middle of the woods meltdowns. 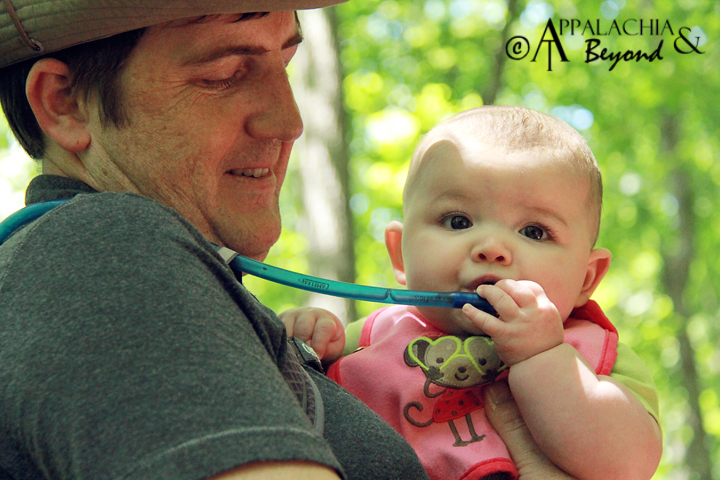 After a short N-A-P (she fights sleep something awful), she was refreshed and ready to conquer the unknown. And I must admit, there has been nothing in my life so awe-inspiring as holding my baby in my arms as she slept in a forest filled with mystery and curiosity. 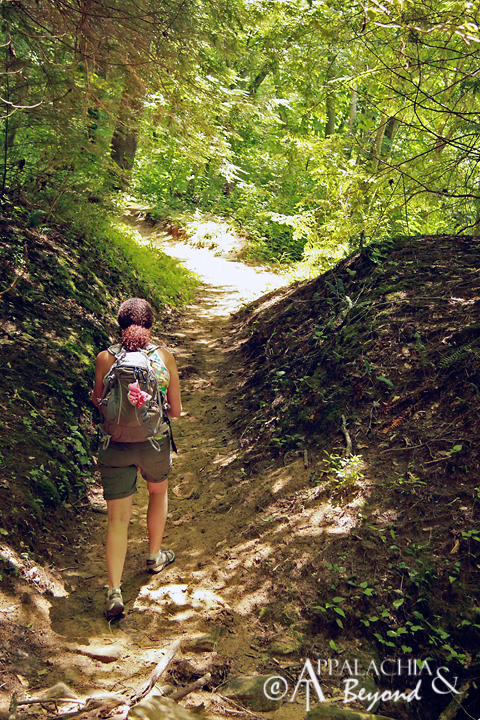 The trail meanders comfortably along the Big South Fork of the Cumberland River. 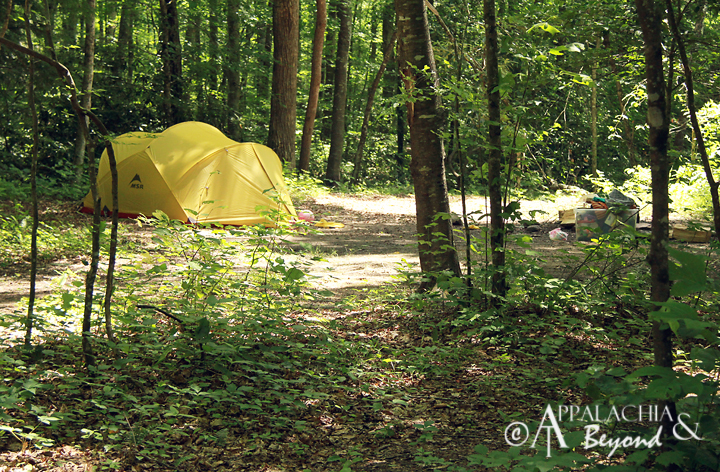 There are plenty of places to camp alongside the river, outcroppings to view, wildlife to spot, and places to fish. The current can be swift at times (like the day we went), but there are many places for a swim if you so desire and the occasional beach to picnic at. 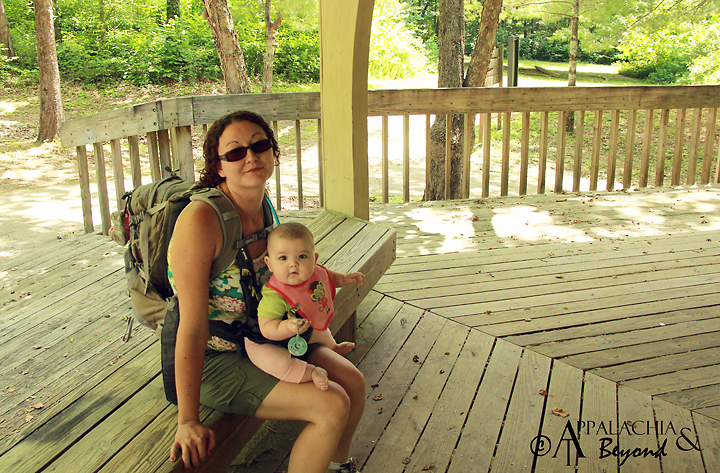 We opted for a walk-thru; didn't stop at any of these places with Bug. She's "baby-on-the-go" and doesn't take too well to stopping for long. Along the way, we encountered Echo Rock - which is being observed at the moment due to erosion. Be careful in this area and take time to read the sign. It's rather interesting. Further down the trail we stopped to speak to a bicyclist. He seemed to be having a great time, but there were lots of places where he had to just walk his bike. 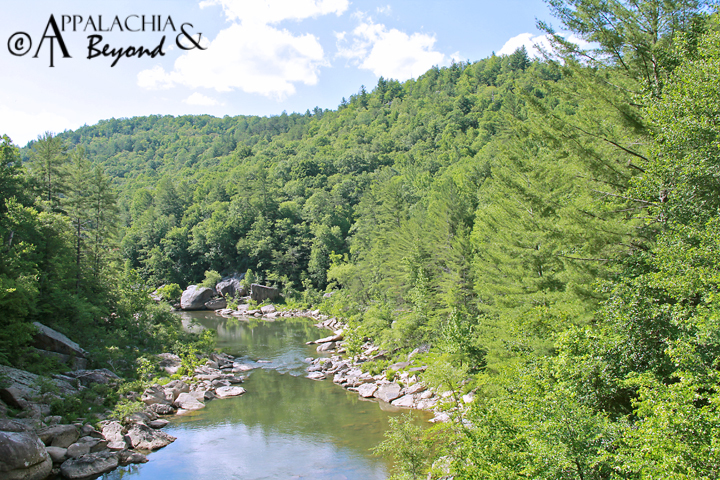 The Big South Fork NRRA is known to be an awesome place for mountain bikes, and Tim and I have tried it out once before, too. It's great fun until you find the mud or sand pits in the trail, worse even when the horses have been through those areas. 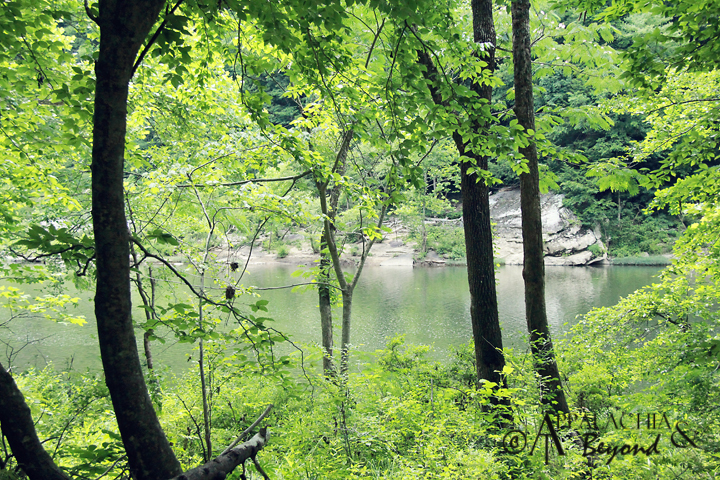 After a short incline, the trail continued along riverside and Bug rather enjoyed babbling at the sunlight dancing through the leaves. 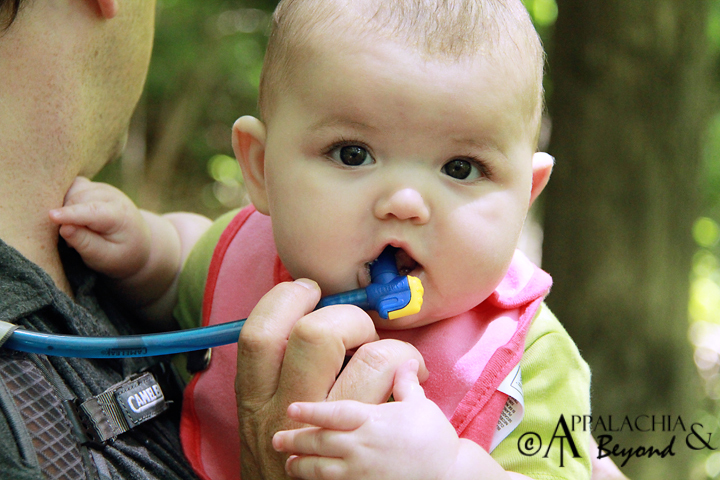 She gets pretty vocal when something really catches her attention, and the magic of the forest had caught hers. She laid herself back and babbled for a good 30 minutes. 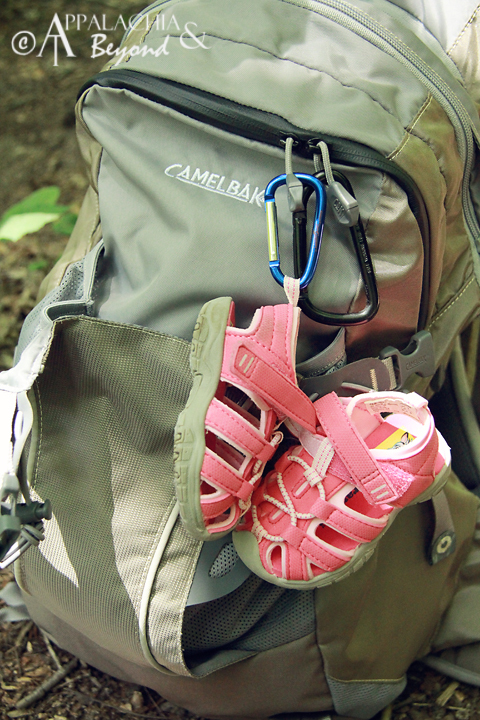 This made it easier to hike with her, but we still need to get a child carrier. The Infantino front carrier was good when she was little, but at 19 lbs plus my pack weight, this Gram Weenie would prefer she used her own two legs. 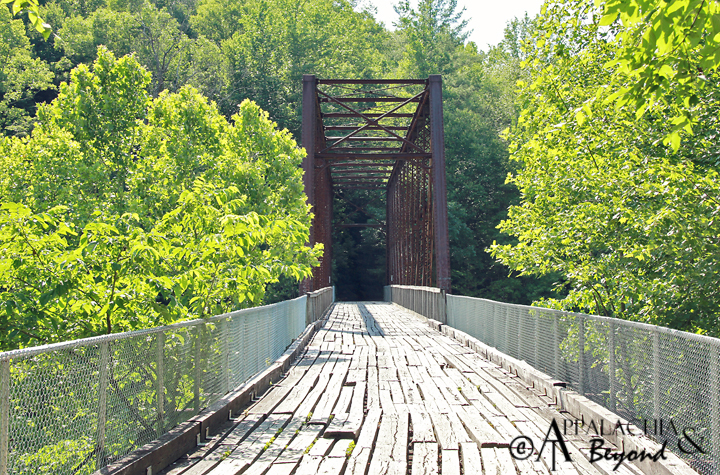 Eventually we reached the bridge, a Whipple Truss bridge used from 1915 to 1954. The Whipple Truss design is rare to find intact nowadays, so it's definitely worth the hike to view. At the bridge, Bug had to eat again, then we put her sandals on so she could stretch her legs by bouncing around on the ground. After a short stay, we headed back to the car the way we came. 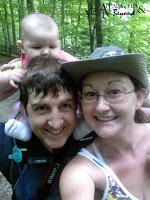 Bug got a little fussy near the end, but Tim fixed that by placing her on his shoulders. It was obvious she had an exceptionally fun time, and that makes us happiest of all. 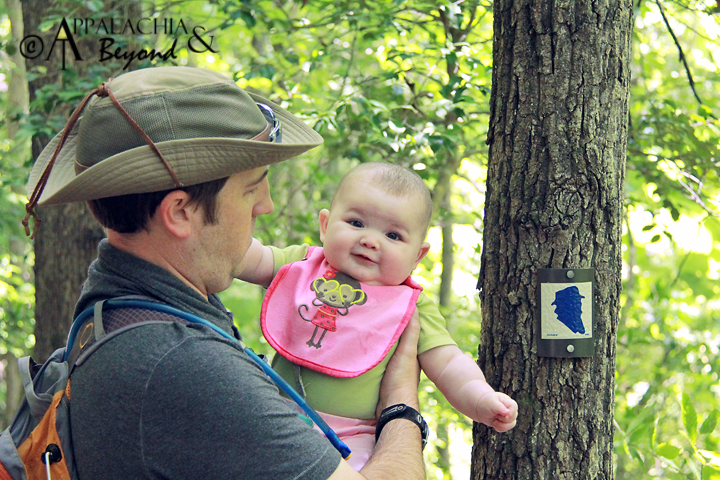 We love that she loves to be outside, that she's already exploring the forest and world around her. Seeing her eyes light up at the curiosities she encounters is filling to the soul.